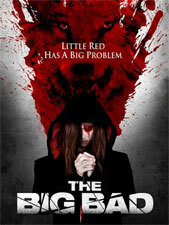 Phase 4 Films has announced the VOD premiere of The Big Bad on September 1st. The film is directed by Bryan Enk and stars Jessi Gotta, Jessica Savage and Timothy McCowan Reynolds. Frankie Ducane is obsessed with seeking revenge against the deranged killer who destroyed her family. The search for the depraved man who tore Frankies life apart has left her exhausted, but she will not give-up until he suffers for his actions. Her journey turns into a non-stop grotesque battle for vengeance, where only one person will come out of this alive.